Ottawa is moving to drop a controversial lottery system for family reunification applications — but one immigration lawyer calls it a stopgap solution at best. Seven years of rejection wasn't enough to stop Uzma Jalal from trying again to bring her parents to Canada from Bangladesh. 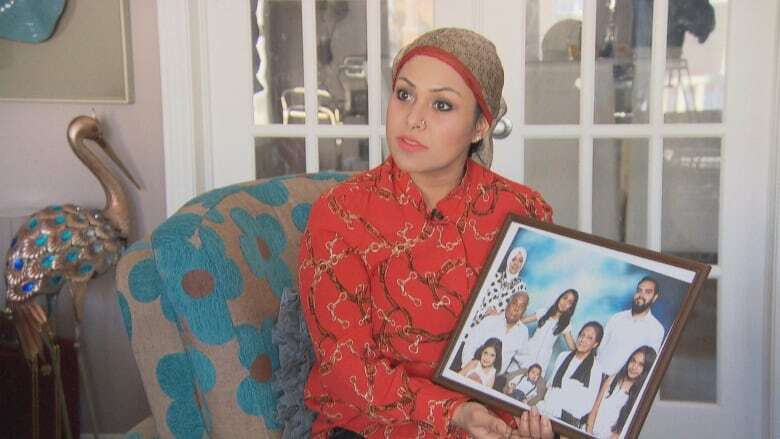 The young mother, now a Canadian citizen and federal government employee in Ottawa, first submitted an immigration sponsorship application in 2011. The responses came in one rejection letter after another — in 2011, 2014, 2015, 2016 and 2017. Now, the family reunification system that frustrated her for years is being blown up by Ottawa. The Trudeau government announced in August that it would be dropping a contentious lottery system in favour of quotas and admit up to 20,500 parents and grandparents in 2019, up from 17,000 in 2017. The application period is set to reopen at the end of the month. A spokesperson for Immigration, Refugees and Citizenship Canada (IRCC) said the department issued a social media post on the last day of 2018 saying that applications would be accepted again soon. On Thursday, Immigration Minister Ahmed Hussen weighed in on the program switch, saying a negative reaction from Canadians was part of the reason the lottery system was scrapped. He vowed the government will give applicants ample warning before opening the applications again. "We're not going to surprise anybody." Jalal's application for sponsorship was accepted in early 2018, but she's still collecting supporting documents and her parents don't yet have permission to come to Canada. Jalal's rejections, she said, had nothing to do with her family members' eligibility for immigration to Canada — and everything to do with a backlog of applications, and annual application quotas that were met before her relatives reached the head of the line. In 2015, she applied on the very first day the federal government was accepting applications, only to be told that the annual quota had been filled within hours. In 2017, she applied under the lottery program — a controversial system that randomly chose individuals and gave them permission to apply to sponsor family members as immigrants — and failed again to make the cut. "I didn't find that fair," she said. She didn't apply in 2012 or 2013 because the program was closed to new applicants at the time. During the 2017 lottery period, more than 95,000 people filled out forms online to bring their relations to Canada. In the end, only 10,000 potential sponsors were selected to submit full applications. The backlash from opposition parties over the lottery system was fierce. Conservative immigration critic Michelle Rempel called it a "total abdication of responsibility." The NDP's Jenny Kwan described it as a "fiasco right from the get-go." Even though Ottawa has moved back to the former system, one lawyer calls it a temporary fix at best. "The system itself is unfair. It's not the means," Rezaur Rahman told CBC News. "A lot of people are interested to come to Canada legitimately because they're parents, grandparents. But if we try to stop them under the quota system, what would be the ramifications?" He called Canada's current immigration arrangements a "stopgap," saying the quota system was introduced to take the pressure off short-staffed IRCC offices. The lottery, he said, only made things worse. "The fairness is gone," he said. "Why should I be penalized for the failure of the IRCC to process this application?" Rahman said it's time for politicians to look forward at how the quota system will affect families in the future. In the short term, he said, IRCC should admit it doesn't employ enough people to process the applications in a timely manner. Massive application backlogs have swamped the family reunification system for years; the backlog ran to 167,000 applications in 2011. That number was reduced to about 26,000 people in June, according to IRCC statistics. The department also pointed out that processing times have been significantly shortened, with most applications being processed in two years — down from eight years just three years ago. IRCC rejected the suggestion that a lack of manpower dictates the application quotas, saying the number of immigrants Canada accepts each year is based on the annual Immigration Levels Plan. While Rahman said the quota increase signals some positive change, some families are still struggling with red tape. Jalal said she is determined to prove that her parents' arrival will be good for Canada. "They're not going to come here and be dependent on the social welfare system. Rather, they're going to be investing here," she said. "Not all parents will come here and be a burden." Rahman argued that having grandparents around to help new Canadian families look after young children has an economic value of its own. "It's not only the money. Their presence means a lot."